I'm just about to wrap up my current WIP, which you can read a snippet of here, and we'll see what I decide to choose for my next project. I think it's clear that I don't necessarily do things in a specific order, though I do find ways to get them done. I'm still super excited to see the final printed copies of Cursed: Demon's Daughter. I was so happy when it came in the mail, even if the image was way too dark and I needed to alter some of the interior. Hopefully the next proof will be better, and that I won't encounter the same problems with Path of the Horseman. 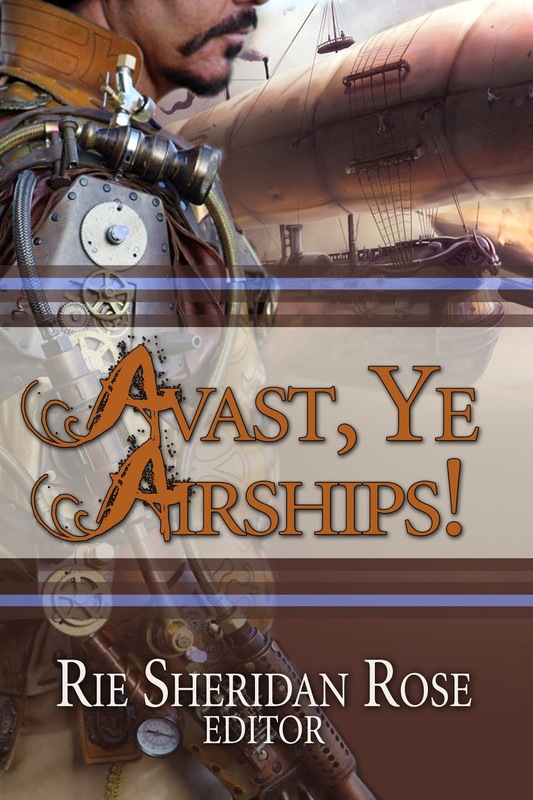 Still going on is my contest to win a FREE paperback of the Avast, Ye Airships! anthology, which features my short story Lost Sky. To enter, just leave a comment about your favorite steampunk element here. Winners will picked at random, but there will be bonus points for anyone who has something nice to say about Path of the Horseman. You don't even need to buy the book (though I would love you if you did), just a digital pat on the back or kind word about the cover or concept would be adored. I'm obsessed with what other people think of my work, though so far the reviews on Amazon and Goodreads have been positive. The contest runs until May 28, so get your entries in and raise the stakes of the competition! And that's my week! Challenges are definitely ahead, but I'm going to do as much as I can with the time that I have. If I get 1000 words in a day, I'll be happy. Hope everyone has a great week! Cheers!